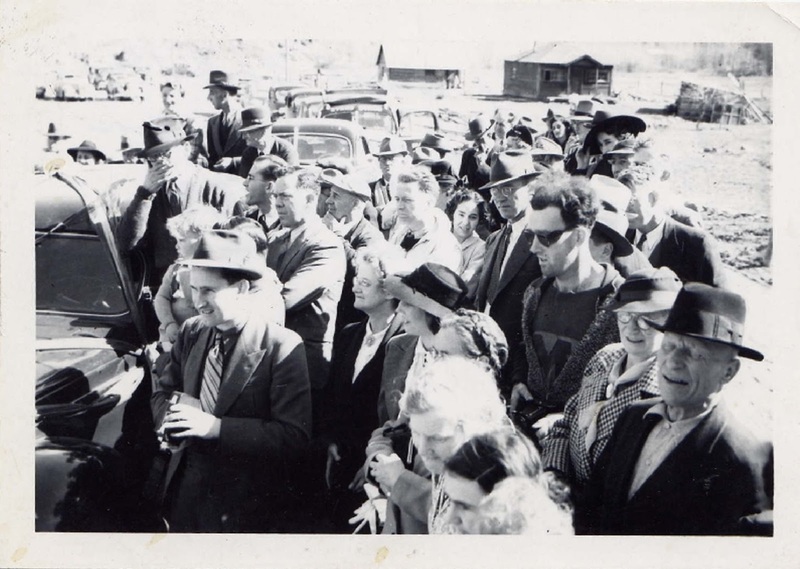 According to Wikipedia, a photograph from 1941 of genuine authenticity of the re-opening of the South Fork Bridge in Gold Bridge, British Columbia, was alleged to show a time traveler. It was claimed that his clothing and sunglasses were of the present day and not of the styles worn in the 1940s. The “time traveler” can be seen on the lower right of this photograph. Reopening of the South Forks Bridge in Gold Bridge, British Columbia (1941). Photo featured in "Their Past Lives Here", an online exhibition created by the Bralorne Pioneer Museum. ©2013 Bralorne-Pioneer Museum. Further research suggested that the present day appearance of the man may not have been so new. The style of sunglasses first appeared in the 1920s. On first glance the man is taken by many to be wearing a printed T-shirt, but on closer inspection it seems to be a sweater with a sewn-on emblem, the kind of clothing often worn by sports teams of the period. The shirt is very similar to the one that was used by the Montreal Maroons, an ice hockey team from that era. The remainder of his clothing would appear to have been available at the time, though his clothes are far more casual than those worn by the other individuals in the photograph. The idea that the man in the photograph is a time traveler hinges on three items he is seen wearing or holding that appear to be of too modern a vintage for the 1940s: a logo t-shirt, a small portable camera, and wrap-around sunglasses. Debate centres on whether the image genuinely shows a time traveller, has been photomanipulated, or is simply being mistaken as anachronistic. 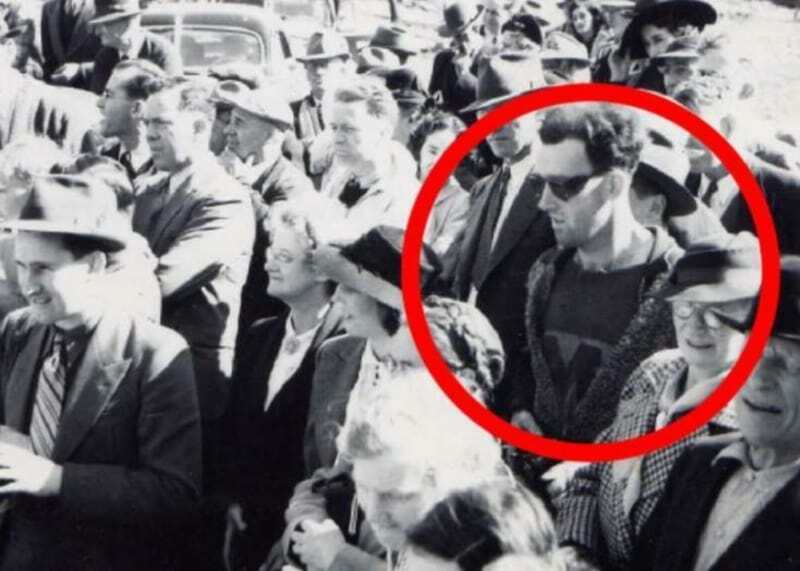 The "Time Traveling Hipster" became a case study in viral Internet phenomena in museums which was presented at the Museums and the Web 2011 conference in Philadelphia, Pennsylvania.